Sherlock Holmes at Baskerville. 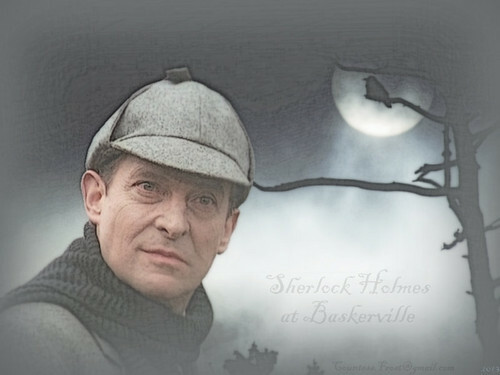 Sherlock Holmes at Baskerville - a Hintergrund created Von TheCountess featuring Jeremy Brett as Sherlock Holmes -- online jigsaw puzzle at:. HD Wallpaper and background images in the Jeremy Brett club tagged: jeremy brett actor sherlock holmes granada television sherlock holmes series private detective fan art wallpaper thecountess online jigsaw puzzle. This Jeremy Brett wallpaper might contain zeichen, plakat, text, tafel, schilder, and poster.